One of the food I had planned to eat in Penang was char koay teow. It's not everyday that I eat char koay teow since I consider it a pretty unhealthy food, but it would be a sin not to eat it when you visit Penang! 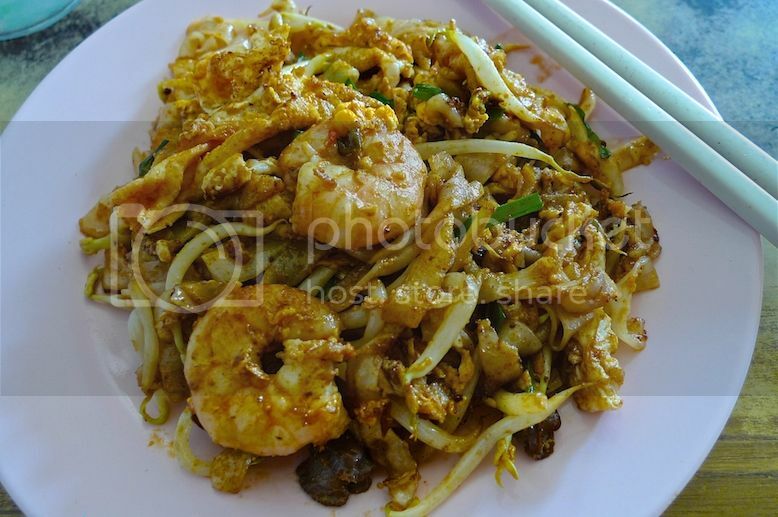 So where is the best char koay teow in Penang? Well, I did some research and narrowed it down to a few. Among them is Tiger Char Koay Teow at Ping Hooi Cafe located at the junction of Carnarvon Street and Malay Street in George Town. 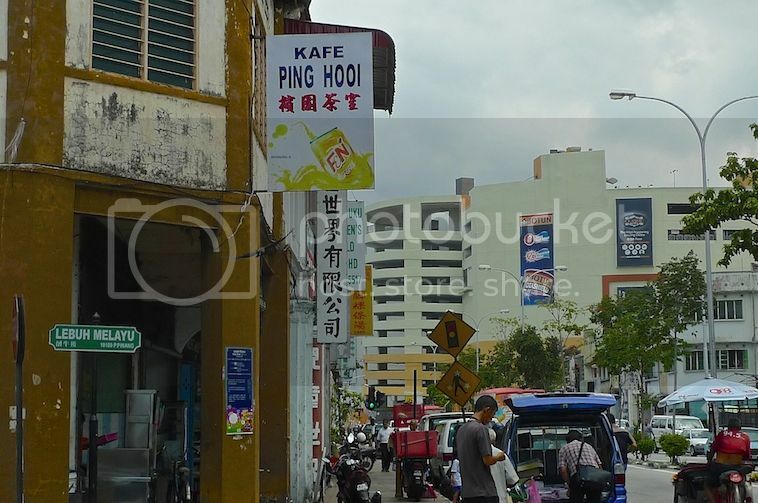 Ping Hooi Cafe is more like a coffee shop than a cafe, and in this shop, you can find a few stalls selling other food. I heard the duck drumstick mee suah is good there but unfortunately the stall was not opened at that time. I ordered a plate of char koay teow with duck eggs. 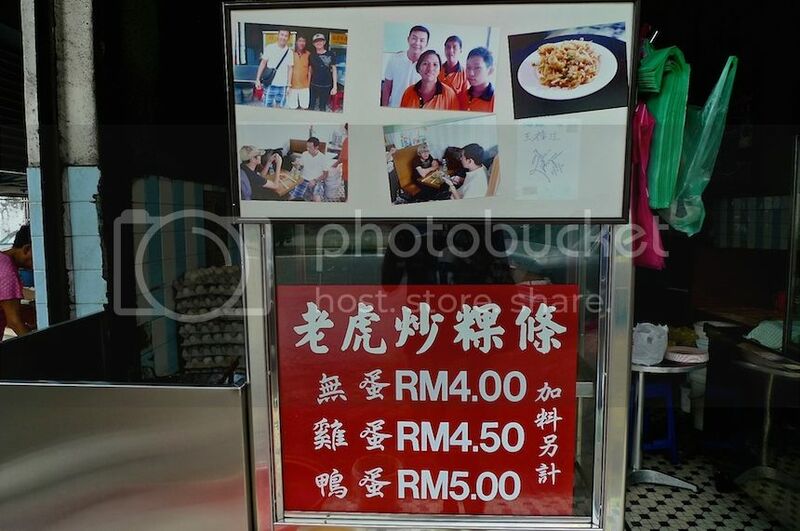 It was indeed the best char koay teow I have ever tasted! I am not sure if it's the best in Penang, but it definitely beats all the char koay teows I have eaten in Kuala Lumpur. The prawns were plump and juicy, the bean sprouts fresh and crunchy and the eggs blended nicely with the flat rice noodles or koay teow which had just the right amount of 'wok hei'. It was also not too oily, which I liked! Perhaps it would be even better if it was spicier, but for those who cannot eat spicy, I would say this is the perfect char koay teow! 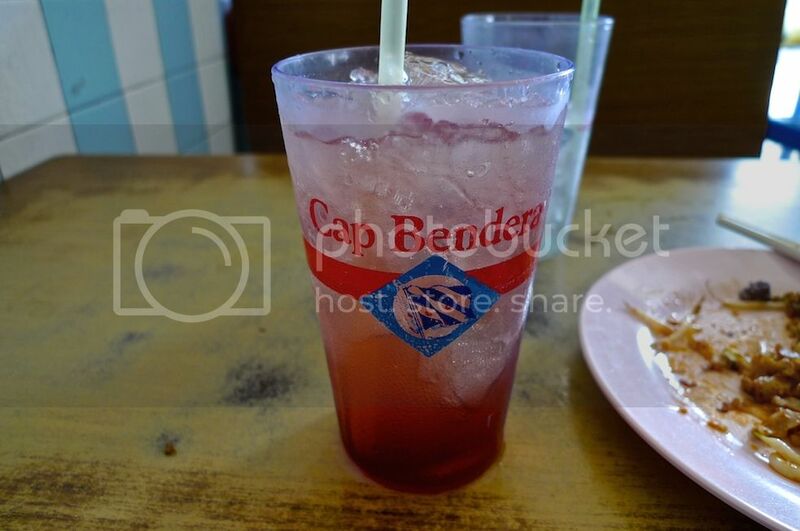 I also ordered a glass of iced cold nutmeg juice to wash down the sinful char koay teow. Did you know that this Tiger Char Koay Teow was featured in the Singaporean food show (I think it's called 'Makan Unlimited' or something) hosted by Mediacorp artiste Bryan Wong?